Google has updated their Google Mobile App for Apple iOS devices. This latest update included support for Google Goggles, a search engine that searches using photos. 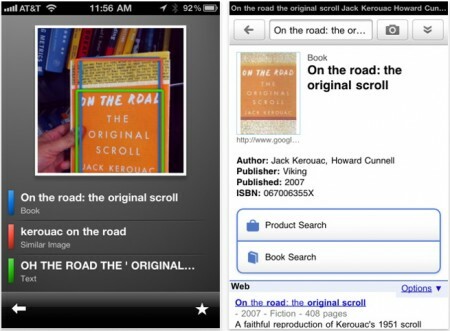 â€¢ Added Google Goggles – using pictures to search the web. â€¢ Fixed voice search on iPod Touch 4th Gen.
Google Mobile App is a free Universal App and it’s available at the App Store. Any idea if taking a picture of something in Saudi it will be recognized?